People fall into the trap of always looking at PEI as Canada’s smallest province. But size doesn’t matter – it’s a province, with all the rights and the potential that goes with it. This book represents a major research project developed at the University of Prince Edward Island where contributors looked at what lessons Prince Edward Island could learn from a global review of over 100 islands that enjoy similar political autonom: from Bermuda to Tasmania, from the Cook Islands to the Faroes. 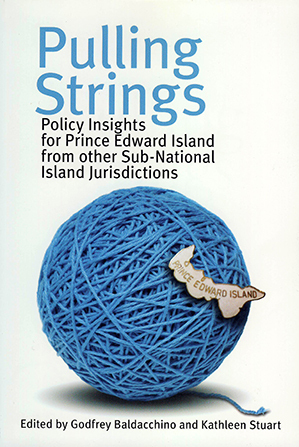 This book collates policy papers that emerge as particularly salient in the development strategies of most sub-national (or non-sovereign) island jurisdictions today, and locates them within Prince Edward Island’s own context. The outcome is this handy manual for reflection for all those engaged in the governance of islands.